A social worker can provide positive support to a family that homeschools, but special steps need to be taken to ensure that their involvement yields positive results. In order to work with the family and bridge gaps between the family and community supports, the social worker will need to make an extra effort to collaborate openly with the family. Homeschooling is an educational method that allows for some variation in student progress and may look very different from a formal school setting. There are a few resources for social workers who want to examine best practice when working with homeschooling families. For a good starting point, see our Homeschooling 101 pages. Child abuse occurs in families that homeschool and those that do not, and there is currently no data indicating that child abuse is more common in families that homeschool. However, when children are abused or neglected in a homeschooled setting there are fewer opportunities to identify maltreatment and abuse may therefore be more easily concealed. 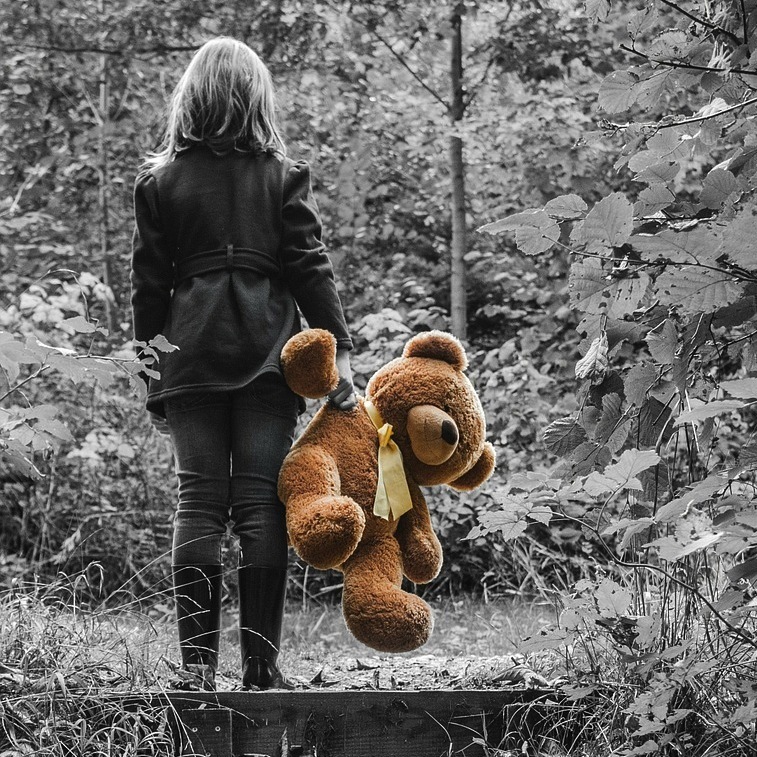 The Homeschooling’s Invisible Children database includes a large number of documented cases of horrific abuse or neglect in homeschooling families made possible by parents’ ability to isolate their children and hide signs of abuse. the child victims may be unaware that the abuse they face is not normal, given limited experience with healthy families or good adult role models. If someone reports the family to social services and a social worker investigates that report, they may be the first and last resort for the child who comes into contact with no other mandatory reporters. The family may have limited experience with public agencies of any kind, so efforts should be made to ensure that the family understands the process, their rights, and what the next steps will be. Just as with any family, it is often difficult for a homeschooling family to face a child protection investigation. Sometimes they fear that they are being investigated and discriminated against because they are homeschooling. Families homeschool for a variety of reasons, some because of medical issues, others to provide their children with individual attention, and many have religious reasons for homeschooling their children. Some instruction may be tailored to provide extra support that will equip the child for success as they integrate into society while other homeschooling methods are specifically designed to shield children from influences that contrast the values held by the family. Homeschool parents that are effectively educating their children at home may fear that the mere existence of an investigation may mean the end of homeschooling, and they may feel personally threatened by the presence of social services. Homeschooling was not always a socially acceptable practice and faced legal challenges in some areas of the country only a few decades ago. Many families have heard stories of competent families that have experienced unfair treatment from social workers. Some homeschool leaders argue that even today, when homeschooling has grown more accepted, homeschoolers are often falsely reported to social services simply because they homeschool. At times, this friction can bring about defensiveness in both parties—homeschooling parent and social worker. It is important that it is clear whether an investigation is regarding educational neglect or child abuse unrelated to homeschooling. Some homeschool parents may have their suspicions about social services agencies confirmed by various homeschool associations. Social Worker at Your Door, developed the Home School Legal Defense Association, urges homeschool parents to be wary of social workers. On the advice of homeschool advocacy groups and their lawyers, homeschool parents faced with a child protective services investigation may refuse to let social workers enter their homes. They may be distrustful and may resist social workers’ requests to speak alone with their children. Other homeschool associations have been less wary but have still urged caution. Answering CPS Questions, developed by VA Homeschoolers, offers cautious advice in dealing with CPS workers but also urges homeschool parents to be open and honest with social workers. All of this makes it especially important that social workers are careful with how they speak with the children. Some children who are abused may not reveal that they are being abused because they have either been taught not to disclose it, or they have not become aware of what abuse is. Children who are homeschooled might socialize in smaller circles, and can be even less likely to recognize abuse when it occurs. These children may refuse to speak with social workers, and may have encountered an anti-social services ideology. A reassurance that the social worker is their friend and will not hurt them will often not be sufficient. Instead the social worker will have to rely on other skills to assess the child’s well-being. Fear of social workers does not indicate abuse, but may require the social worker to be discerning in differentiating between fear of the social worker and fear of abuse from parents. There have been many well-documented cases of parents pulling children out of school to homeschool them after teachers or other school officials have reported suspicions of abuse. These parents understand correctly that if they homeschool a child, reports of abuse or neglect lodged by school personnel will cease. In a number of such cases, the children have ultimately died from abuse and neglect at the hands of their parents. Several states and municipalities have convened task forces to investigate these deaths and have released reports calling for increased monitoring of at-risk children who are withdrawn from school to be homeschooled. In some cases, parents facing chronic truancy charges may withdraw their children from school to homeschool without ever having any intention of providing academic instruction. In states where the homeschool law is minimal, there may be little truancy officers can do about this and little to ensure that the parents are actually educating their children. Lax homeschooling laws can thus allow parents to “homeschool” fraudulently, which can create a bad reputation for homeschooling as a whole. Abuse can also occur in homeschooling families in the form of excessive corporal punishment, which may result from adherence to discipline methods that advocate breaking children’s wills or beating them with rods. To Train Up a Child, by Michael Pearl, circulates widely in many Christian homeschooling circles and has played a role in the deaths of at least three homeschooled children (Sean Paddock, Lydia Schatz, and Hana Williams). Michael Pearl advocates beating children with plastic piping, spanking children as young as four months old, and “breaking” children’s wills. In some Christian homeschooling families, the belief that God has commanded children to obey and submit to their parents, combined with the belief that God has mandated the use of strict corporal punishment, can turn toxic. Christian homeschool families should not be viewed with suspicion, but adherence to problematic ideas about discipline may be cause for concern. Healthy, developing children display age-appropriate independence and have regular interaction with peers and adults outside their family. While many families who homeschool meet the socialization needs of children, some homeschooled children experience social isolation. When this isolation is coupled with excessive parental control it can be especially detrimental to the well-being of a child. While children who are homeschooled may have atypical behaviors for children their age, some of these behaviors, including extremely timid behavior, difficulty in expressing independent thought, and total obedience to parents, are cause for concern. Children who are well-behaved in a secure and nurturing environment will at least occasionally challenge the authority of parents. Social isolation can be used as a means to maintain control of a child who is a victim of abuse. If a combination of social isolation and indications of excessive control are observed, be on the alert, because this could be a sign of abuse. Families who homeschool may not always use regular curriculum or replicate a school setting at home. Even those homeschoolers who do hold regular school hours may take a day off to go on a field trip, only do school in the morning or on specific days, or operate on a different annual schedule from the local schools. There is a great deal of variety in pedagogy, curriculum, and organization. Charges of educational neglect in homeschooling families should focus on whether adequate academic progress is being made rather than on which pedagogical approach parents use or whether the family is following a regimented curriculum. For more, see our Recognizing Educational Neglect page. Please keep in mind that the precise definitions of educational neglect may vary from state to state. Many homeschooling families, especially those in religious circles, may rely on punishment-based, authoritarian discipline methods. Although in some cases this has led to abuse, many parents use discipline methods that are not recommended without crossing the line into legal child abuse. Strict parenting practices may be cause for concern, but social workers can speak with parents and children to make sure there are established limits. Local law and policy regarding discipline methods, including the use of corporal punishment, vary by region, but social workers can work with parents to ensure that they are following local laws while respecting family culture and parental autonomy. It is CRHE’s hope that states will deal with fraudulent and abusive homeschooling by creating a more thorough system of oversight, as we detail in our Policy Recommendations page. Until then, social workers play a crucial role as an outside source of protection, evaluating reports of abuse and neglect in hopes of protecting homeschooled children’s interest in a happy, healthy, and educationally productive childhood. Children depend on social workers to not only investigate allegations but to also create good relationships with parents and integrate as much information about the uniqueness of homeschooling situations into practice as possible. This relationship can assist social workers in clearing competent families of mistaken reports and helping the family get back to their routine, freeing up social workers to continue their work of assisting children in need. This page was developed in consultation with Sarah Henderson, bachelor of arts, bachelor of social work, and Michelle DeParrie, bachelor of arts in child and family studies prospective May 2014. Sarah is a former homeschooled student currently employed in the social work field. Michelle is a former homeschooled student in the process of applying to study for her master of social work.